The search for accountability for the genocide of the Bosnian Muslims in July 1995 has gone beyond the International Criminal Tribunal for the former Yugoslavia. In 2007 Bosnia and Herzegovina brought a case to the International Court of Justice which ruled that Serbia had violated the Genocide Convention by not preventing the genocide (Application of the Convention on the Prevention and Punishment of the Crime of Genocide (Bosn. & Herz. V. Serb. & Montenegro), Judgment 2007 I.C.J. 43 (Feb. 26). The Netherlands has also been found liable for the genocide. A Dutch battalion of the United Nations Protection Force in Bosnia and Herzegovina (“UNPROFOR”) called Dutchbat, was unable to prevent the downfall of Srebrenica. The Hague Court of Appeal (Dutch Court), judged the state liable because Dutchbat denied refuge on the Dutchbat compound. (See Cees van Dam, “The Netherlands Found Liable for Srebrenica Deaths” ASIL INSIGHTS (Sept. 19, 2011) available at .pdf. Further, the Mothers of Srebrenica Association and ten relatives of the Srebrenica victims brought a case against both the Netherlands and the United Nations. The United Nations has invoked immunity, and the question is whether the United Nations is entitled to such immunity. On April 13, 2012 the Dutch Supreme Court rejected the appeal of the judgment of the Court of Appeal granting immunity to the United Nations. HR 13 April 2012, Case No. 10/04437(Neth), Hof’s Gravenhage, 30 March 2010, Case No. 200.022.151/01(Neth). Both the Supreme Court’s Advocate General and the District Court have also agreed that the United Nations should have immunity. 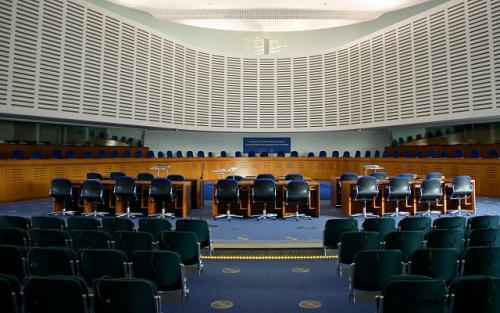 Now, there is a case pending before the European Court of Human Rights, and it again raises the question of whether the United Nations is immune from claims against it because of the wrongdoing in Srebrenica. In a report, the UN Secretary Gerneral has stated: “There is an issue of responsibility, and we in the United Nations share in this responsibility. For a discussion of the Supreme Court’s opinion, as well as the opinion itself see “Introductory Note to the Supreme Court of the Netherlands: Mothers of Srebrenica Association et. al. v. The Netherlands” by Thomas Henquet (51 ILM1322 (2012).